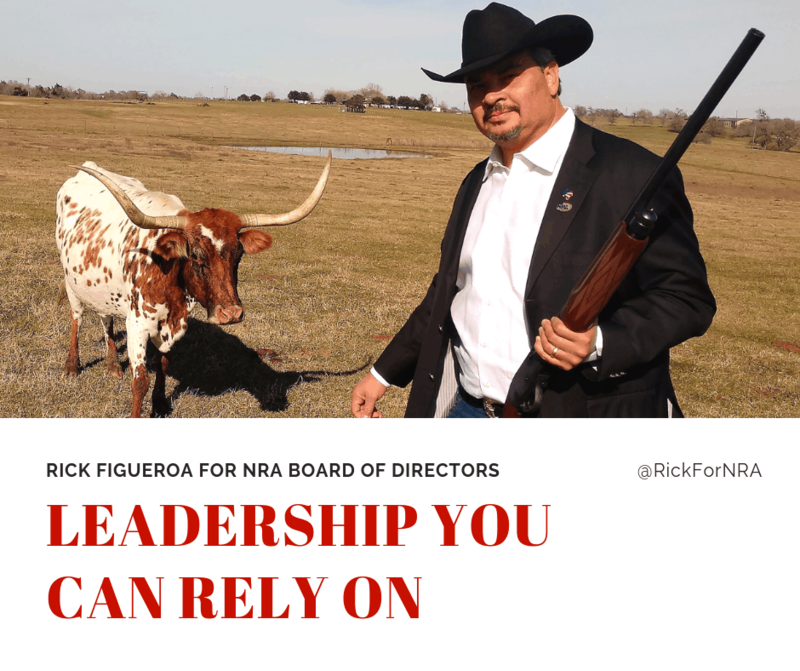 Brenham, Texas (February 8, 2019) – Rick Figueroa is known in political and business circles across America. He has always been on the forefront, helping those fighting for liberty and their constitutional rights. His current involvement with NRA’s outreach includes working with minority communities, which opened the door for his candidacy. He recognized early that the NRA needed more inclusion. 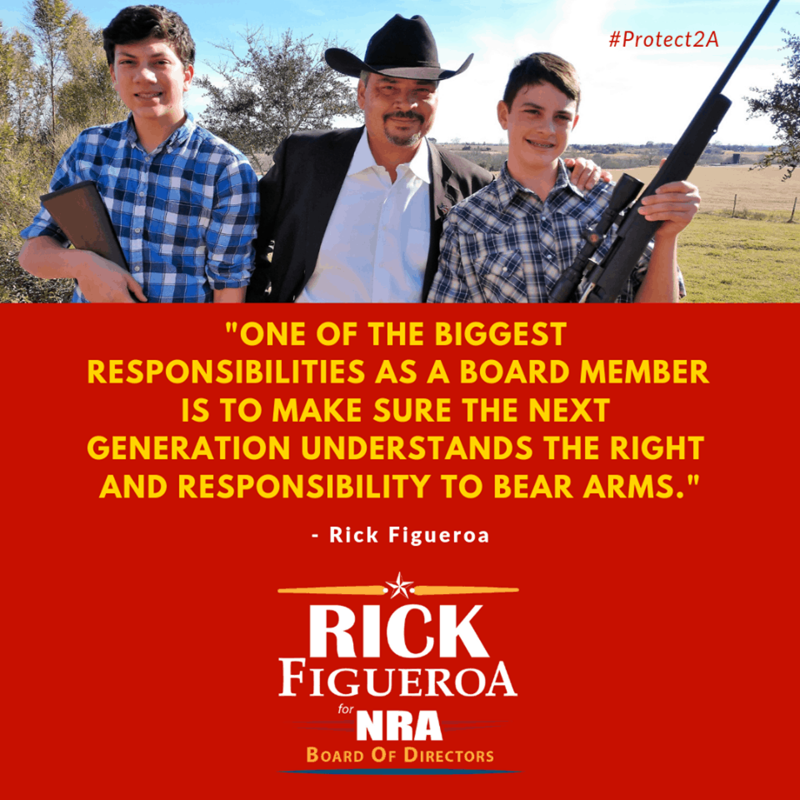 Rick Figueroa is a Native Texan, businessman, and community leader who offices in Houston and resides on a ranch in Brenham, with his wife of 23 years and two boys, while supporting his two girls who attend college. He is a graduate from Texas A&M University and has served people and causes across the state and nation. ©Copyright 2019 Self Defense Fund. All rights reserved. | Website design by WABW Media Group.